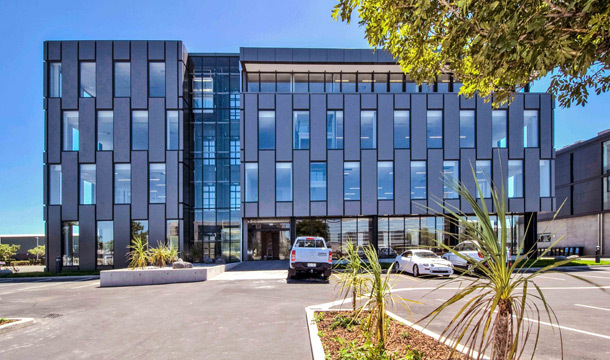 Show Place Office Park is a premium quality, campus style estate strategically located in Addington, Christchurch. 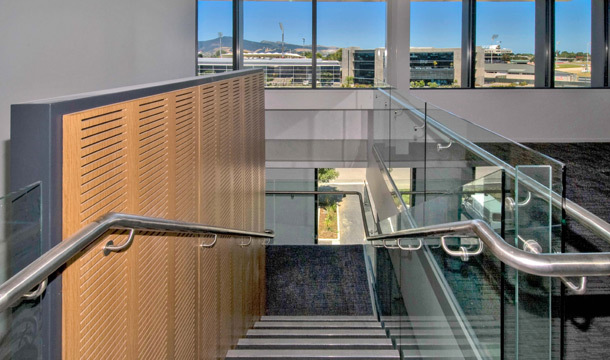 Building 10 Show Place is a new build, 4-storey, 3,400m2 office building that offers high quality, energy efficient office accommodation split over four levels, with key tenants including IAG and Westpac. 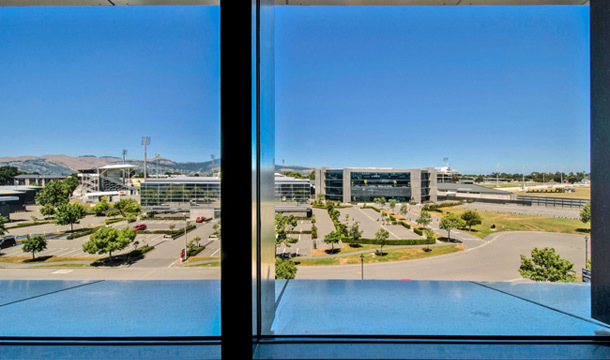 High ceilings and floor to ceiling glazing provide natural daylighting, whilst solar shading to the East, North and West brings relief from bright sun creating a comfortable work environment. To ensure the project’s development would make sense financially for the client, RDT Pacific first instigated a Value Engineering session. 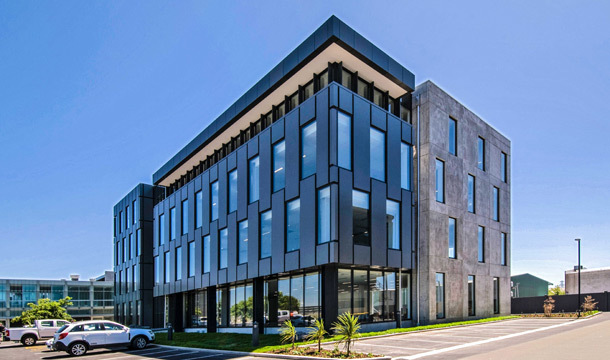 The design process and the majority of the design consultants were based in Auckland and as such RDT Pacific Auckland were the Design Project Managers and RDT Pacific Christchurch took on the Construction and Delivery Management role. Extensive ground remediation works were required due to the water table being so high in the area as well as rigorous structural requirements in Christchurch. The project utilised in the ground cement stabilisation prior to the foundation works. Geotech engineers Tonkin & Taylor identified the site’s deep deposits of weak and potentially liquefiable soils with a high groundwater table, presenting significant constraints for the building foundations. A number of options were considered, the chosen solution being a ground improvement technique, known as in-situ soil-cement mixing. This involved mixing dry cement into the soils using a rotating head fixed to the end of a boom on a standard excavator, and creating a 4-metre thick, non-liquefiable ‘crust’. This method was well suited to the site soil conditions and offers advantages over traditional piled foundation solutions, such as cost-effectiveness, speed and seismic performance. The non-liquefiable crust allows the building and associated infrastructure to settle with the surrounding ground, minimising the likelihood of significant post-earthquake repairs being required.